There are many days I think about ways to save a ton of money, but even more frequently I think of little ways to save a buck of two. I spent the past two days at the beach and the thriftiest thing I brought with me was bottled water. 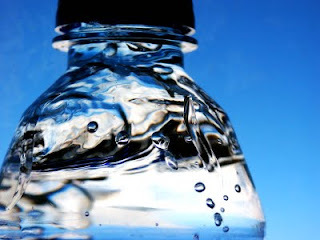 You may be confused as I have blogged about avoiding bottled water in the past, but in this case, bottled water really saved the day. When lounging on the beach in the hot sun, it's easy to get desperately thirsty and drop $2 + on each bottle of water throughout your stay. To avoid this travesty (and I do mean travesty), I would recommend packing a few bottles for your trip and bringing one or two along with you each day. This helps avoid impulse beverage buys on the boardwalk ($3 lemonade, mostly ice) or buying a beverage with meals if you're ordering at the counter. Another option is to fill up a reusable water bottle in the hotel or consider investing in a water bottle with a built-in purification system. Personally, I'm too much of a water snob to use the hotel water and just haven't bought the purified bottle, but what I did worked for me, and sure did save me a few dollars.